There are a few ways to communicate with your team; teams are provided two tools, the team website and the SI Play app which offer three different communication methods, email, alert, and chat. 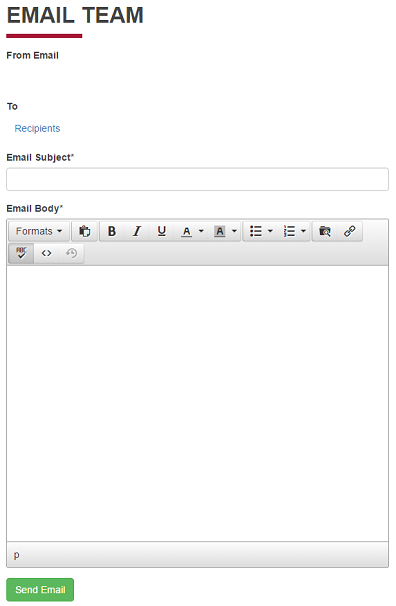 The team website has an email tool, which will allow you to send emails to all or select participants of your team. 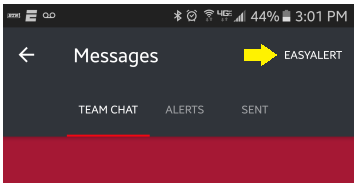 While you are mobile you can alert or chat your team with the SI Play app. Parents can optionally enroll to recieve alerts via text messages directly to thier mobile device, the SI Play application is not required. ¹ Users must voluntarily enroll to recieve text / SMS messages. Instructions are available here. ² Users must install and login to the SI Play mobile application in order to participate in chats and to recieve push notifications on their mobile device. Browse to your team website, login, and navigate to "Email Team". Select recipients for your message. Enter a subject and type your message. Send your email when it is completed. Open the SI Play app, select "Messages" from the bottom menu. Select your team, select "EasyAlert" in the upper right. 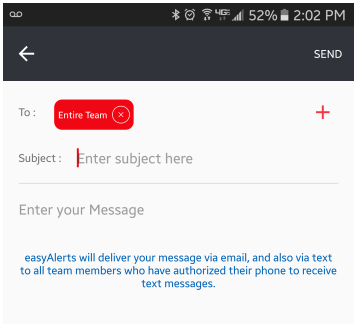 By default messages are selected to be sent to your entire team. Click the "+" to change the recipients. Type your message and press send. Some users will recieve this message as an SMS/TXT message, so try to keep the message short.